Editor’s Note: The following content was sponsored by Voyce. Allison received a free Voyce Health Monitor in order to review it, though the opinions are her own. 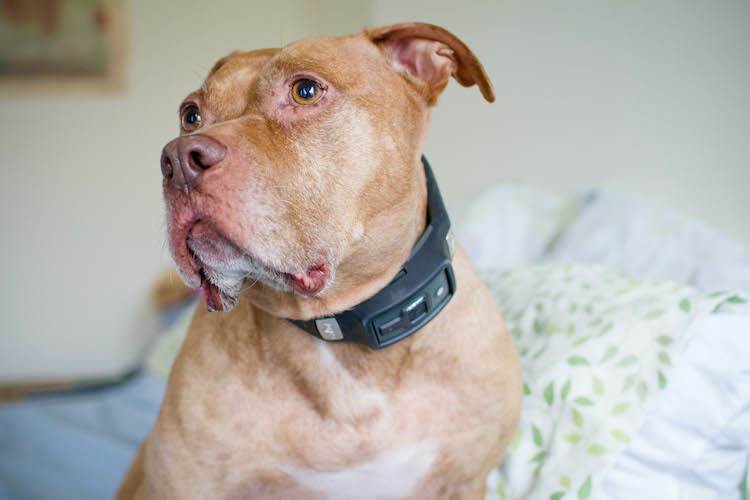 Recently Babe, my senior pit bull, tried out the Voyce Health Monitor and Wellness Management System. My slow-moving, snuggly pup isn’t exactly the poster dog for pristine health. From recurring urinary tract infections to severe anxiety, Babe is something of a regular at the vet’s office. Naturally, I jumped at the opportunity to monitor my old girl’s vitals. All information is presented as a daily average on the Voyce website, and you can compare the data in an easy-to-read chart. Everything is accessible online, so subscribing members can access their dogs’ records from anywhere, like maybe at the vet’s office during an appointment. Isn’t technology great? Babe is ready to be monitored. Initially, I wasn’t sure what to make of all the information. The activity levels were pretty straightforward. Babe travels more than 3 miles on an average day, and her caloric intake and expense are roughly the same. But what do I do with Babe’s heart rate and respiratory rate? Because the data collected is a daily resting average, I’m not able to look for spikes during particularly stressful times. Glancing over the past 3 weeks’ data, I’m relieved to announce that Babe’s rates are not fluctuating drastically. But it’s something that would be worth comparing weekly and monthly. Lots of good stuff here for people who like stats. The Voyce member website is easy to navigate and practically bursting with information for its customers. In my library, I can access informational articles on everything from managing fears and phobias to making sense of dog food labels. In Babe’s profile, I can set reminders for medications or her annual vaccines. 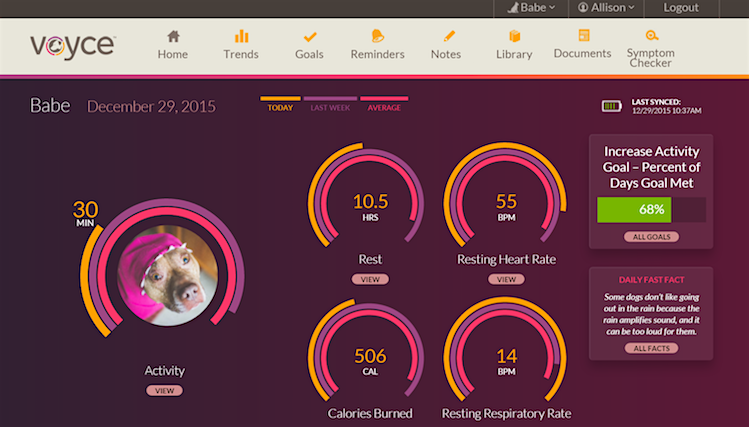 I’ve set goals for Babe, including maintaining her current activity level and increasing our quality time together. The collar passed the roughhousing test from Banjo. The monitor itself is a beast. I noticed that the user guide called the band “dust proof and waterproof.” It didn’t mention that it is also puppy proof. After a few rough play sessions with our Boxer Banjo, Babe’s collar was slobbery and needed to be wiped down, but it held up admirably. The collar’s battery status is displayed through a single blinking light on the front. The band holds a charge for about 1 week, which is impressive given that my “smart” phone can barely make it through 12 hours. But for all of the collar’s durability and technological sophistication, Babe doesn’t seem to be a fan. She spends more time than I would like scratching at it and trying to shake it off. Though the collar looks like it could withstand an atomic bomb, the buckle is simple, and Babe’s scratching has unlatched it once every other day since we put it on her (and Banjo popped it off once when playing with Babe). On multiple occasions, friends and strangers have mistaken the band for a shock collar. Though I immediately corrected the people who asked, I feel uncomfortable about how many others didn’t say anything and assume that I have a torture device on my dog. Voyce creates a baseline so you and your veterinarian can address changes in health and behavior. If you, like many other pet parents, have a hard time keeping your pup’s weight under control or managing his exercise, this could be the solution to tracking calories and activity, providing insight that will help you trim down your pet and extend his life. 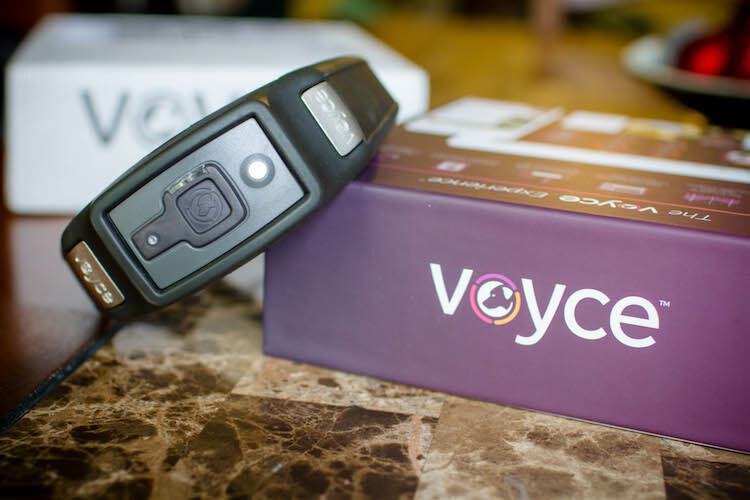 If you’re considering buying the Voyce Health Monitor, discuss how it could benefit your pet with your veterinarian. 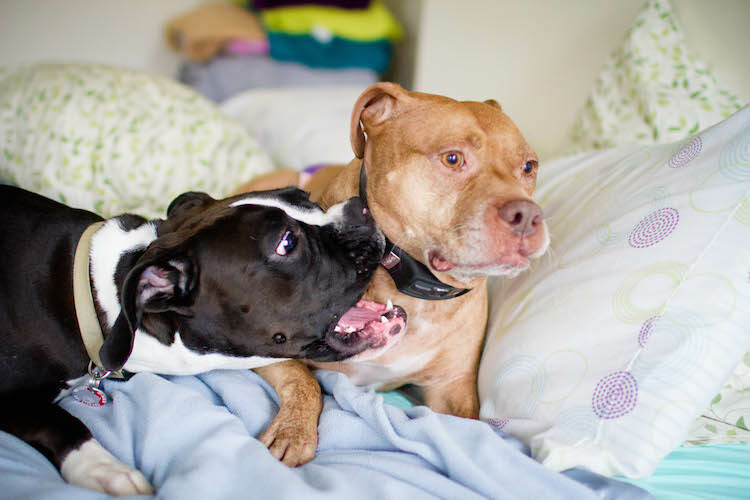 No one should understand your dog’s health needs better. 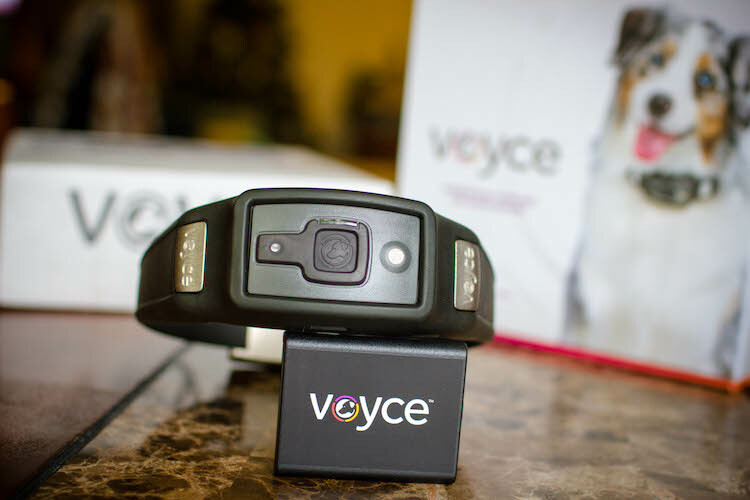 In partnership with Voyce, we’re giving away one Voyce Health Monitor, along with a 3-month subscription, for free to a lucky Petful reader. The winner announcement appears in the comments section below. Thanks to all of you who entered! We had a difficult time choosing just one.